Today I went looking for the Brown Fairy Chain Orchid (Peristeranthus hillii). 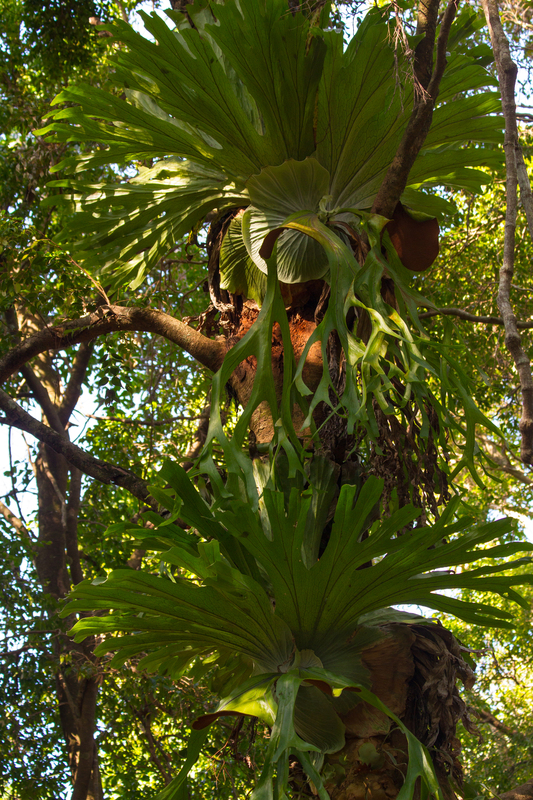 It grows in the littoral rainforest at Bundagen. In 2009 I saw a non -flowering plant growing on a tree. Today I didn’t find it, although I looked quite hard. I photographed some other trees, ferns and sedges. The rainforest was very dry, and Bundageree Creek was almost stagnant. 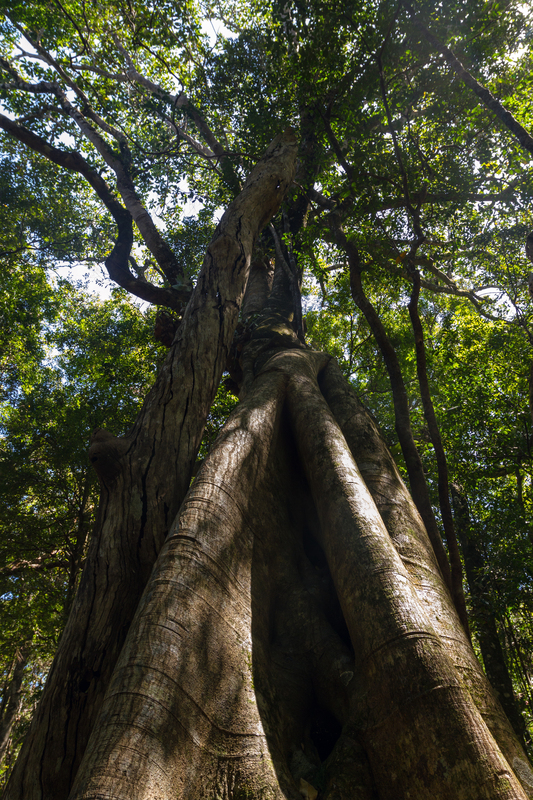 There are a lot of Strangling Figs in the rainforest growing on Big Bloodwoods, Brush Boxes and Small-leaved Lily Pilys. Today I worked out how to use live view. You can look at the image on the LCD screen and zoom in on part of the image to get a better focus. Ribbon Fern (Ophioglossum pendulum). Four plant species for the price of one. First there is a large Brush Box Tree (Lophostemon confertus), Then there is a Strangler Fig (Ficus watkinsiana) gaining a foothold on the Brush Box. 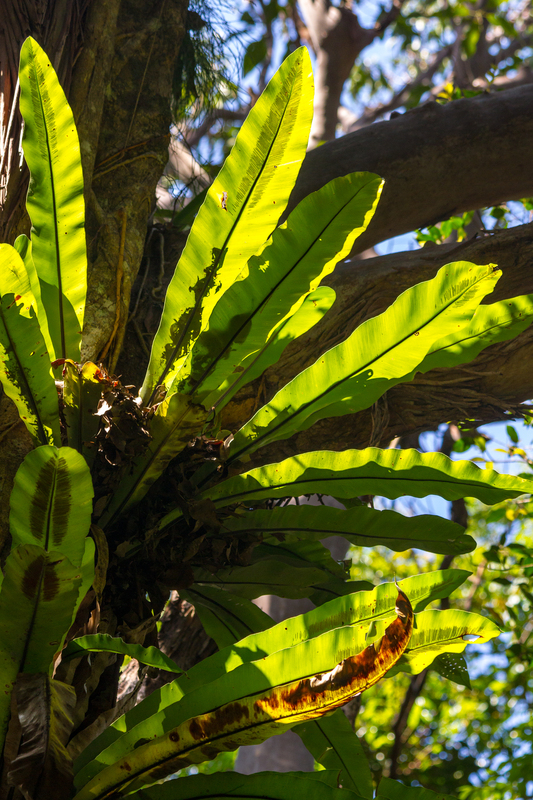 Then there is a small Staghorn Fern (Platycerium bifurcatum), and growing out of the staghorn fern is the Green strap-like leaved Ribbon Fern (Ophioglossum pendulum).